The small size will fit in 4x4 (100x100) hoops. 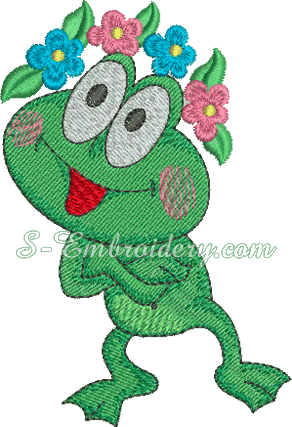 The design is also available as part of the SKU 10114 Froggy machine embroidery Set along with 2 other cross stitch poppy embroideries. If you Order the set you will SAVE 20%.